Thomas was born in 1882 in Rainhill. His father, Thomas was a plumber and his mother, Ellen (nee Dixon) had a fruiterer and fishmongers shop in Market Street (now Warrington Road), Rainhill where Thomas junior worked. 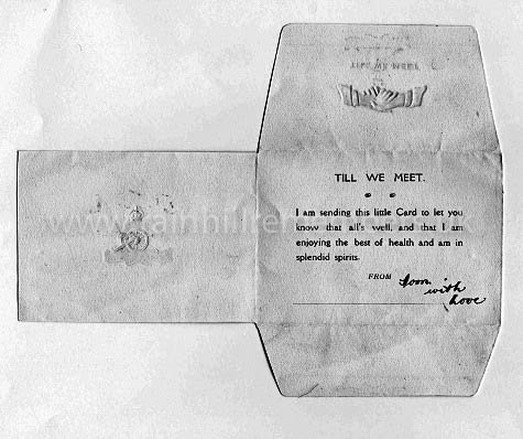 Thomas was in France in October 1917 on field service and in December 1918 part of 325 Siege Battery, R.G.A. 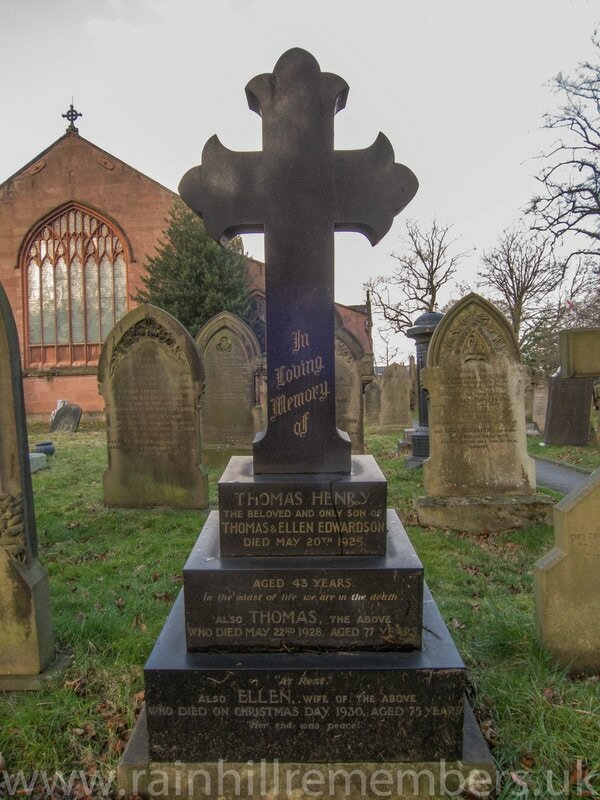 He died on 20th May 1925 of peritonitis aged 43 at Liverpool Royal Infirmary and is buried in St Ann’s Churchyard. 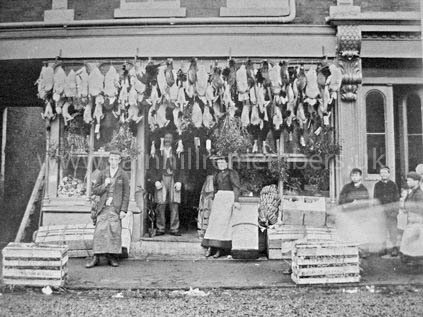 The photograph below shows the shop where Thomas junior worked as an errand boy in Market Street, Rainhill (now Rainhill Carpets on Warrington Road in the village). A Christmas message sent home from Thomas.